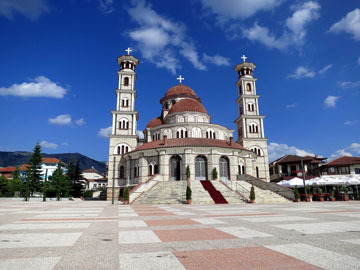 Contact A1 Overseas International for information on auto transport to Albania and a FREE quote! Call 1-800-450-5319 or fill out the form! There is so much that goes to into an overseas auto transport. Not only must one comply with the Embassy of Albania , but they must also prepare for the import of the vehicle, meaning that they have to adhere to the international shipping companies policies too. Luckily, with A1 Overseas International, you will have assistance every step of the way at reasonable price. While it is vital that the embassy is contacted, there are certain things that one can assume will be requested in order for the auto to be lawfully exported into another country. A1 Overseas International will assist you with this process of auto shipping and assure that you have all of the proof, but you should begin gathering it well before the transport is made. After all of the essential paperwork and certificates are presented to Customs, you will then receive a certificate of approval through the department. This then allows the vehicle to access the country of Albania. Other than providing proof to Customs, your vehicle must also be up to par with the standards set by the country. Many countries will have very specific regulations as to what vehicles are allowed to be imported. Ask the embassy during your phone call with them what restrictions there are in regard to the vehicle being allowed into the borders. Call 1-800-450-5319 or even submit the form to learn more and receive a FREE price quote on international boat, motorcycle and car shipping!